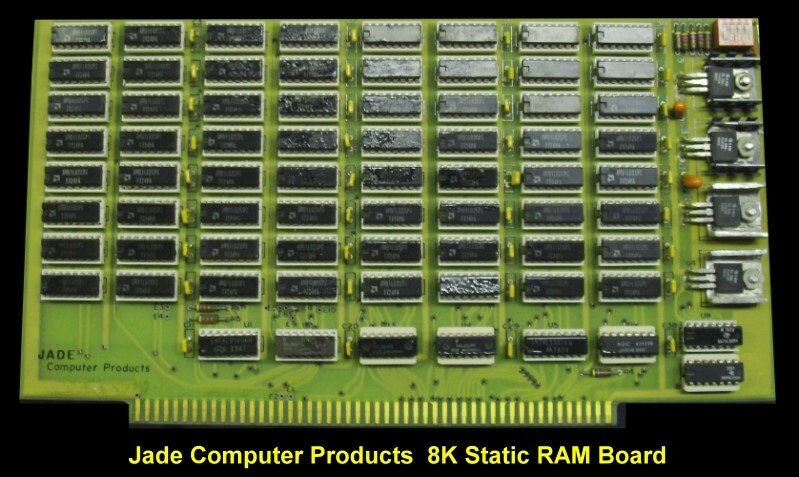 This was an early Jade RAM board. There was nothing particulary special about the board. It had the S-100 Phantom line and could be addressed on 4K or 8K boundries. It utilized 21L02 RAM chips, drawing up to 2 Amps from the bus.